If you're a fan of the Final Fantasy franchise, you may have already played its latest entry, Final Fantasy XV. The game, which will soon be arriving on PC, has been met with widespread praise for its handling of a four-protagonist relationship, despite a few shortcomings in other areas of the game. With the game's strong story still embedded in the minds of many series fans, it's understandable that news of a mobile port would be met with some concern. Mobile spin-offs of popular titles are often seen as little more than microtransaction-laden cash grabs that don't always do their source material justice. While it's impossible to tell if that will prove to be the case this time, you'll soon be able to find out. 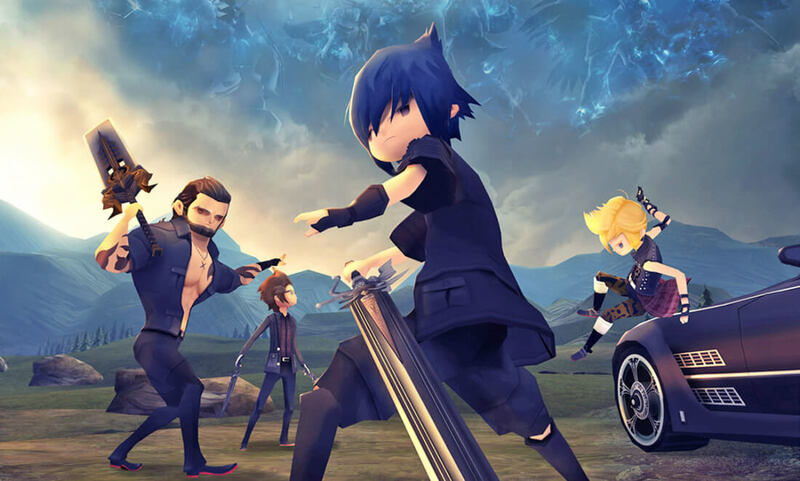 According to a recent App Store listing, the mobile port, dubbed "Final Fantasy XV: Pocket Edition," is set to launch February 9 on iOS devices. There's currently no word on potential Android availability. As far as pricing goes, FFXV: Pocket Edition will be a chapter-based game, allowing you to pay as you go. The first chapter will be free, the second and third chapters will cost $0.99 each and the remaining seven chapters will be priced at $3.99 each. If you'd prefer to unlock all of the game's content at once, you can purchase all 10 chapters for $19.99 which works out to about $10 in savings.